A central vacuum cleaning system is an affordable, built in vacuum that offers benefits to homeowners that a traditional vacuum does not. According to the EPA, indoor air is often up to 5 times more polluted that outside air. Your family deserves the cleanest and safest air. Beam’s central vacuum systems are designed to remove 100% of contacted dirt, dust, debris, and animal dander from the home’s living space. Beam is the only central vacuum system proven to relieve allergy symptoms by up to 61%. With over 35 years of experience, we can install your central vacuum and answer any questions you may have. Beam Central Vacuum Systems are the world’s leading manufacturer of central vacuum systems. Beam has been rated the number 1 quality brand for the last 10 years according to Builder and Custom Home magazines. Your new central vacuum system comes with all the products you need to give your home a thorough cleaning. Your system will include: a power unit, power brush, hose, and cleaning accessories. 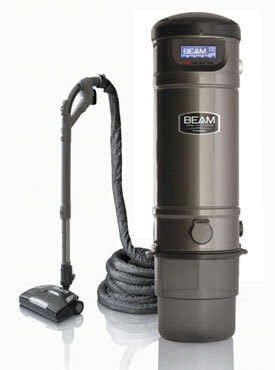 With pre-packaged installation kits from Beam Central Vacuum System, it is possible to install this system yourself. It can typically be completed in one day. Whether you install it yourself or let our professionals handle it, your central vacuum system is fully warrantied. Start with a FREE estimate.